I legitimately enjoyed Deadpool, more than I expected to. I wasn’t sure how it would translate, if they would go all in on the filth and violence, but they did. And the result is a fun, foul-mouthed superhero joint. Even so, I haven’t been able to work up one iota of enthusiasm for Deadpool 2. And I should. David Leitch directed John Wick, the best modern action movie, and Atomic Blonde, which is solid. It has Josh Brolin, who I’ve loved since Thrashin’; Zazie Beetz, who rules; Terry Crews; and the kid from Hunt for the Wilderpeople. Regardless of how I feel, the Merc with the Mouth is coming back, and there’s a new trailer, and it does little to get my juices flowing. 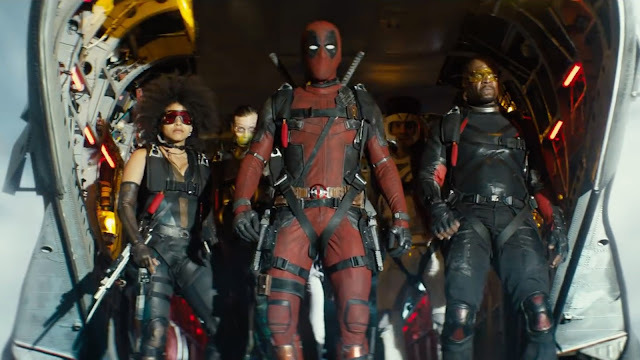 This Deadpool 2 trailer is fine. Its does what it does. Fans will look at this and think it’s awesome. This footage is full everything we expect: violence, poop jokes, fourth-wall breaking, more violence, more poop jokes, meta humor (recruits need to be able to “carry their own franchise for ten to twelve years”). It introduces all the fresh additions, including the new big bad, Cable (Brolin), as well as X-Force. So there’s that to look forward to. I don’t know why I’m not particularly excited by Deadpool 2. Then again, though I used to read the comics and all that, I wasn’t super jazzed for the first movie, and the trailers for that didn’t do much for me either. I’m going to watch this and I’m sure it’ll be just dandy. Also, who really cares what I think? Deadpool 2 opens everywhere May 18.